We recently wrote on another site about the revival of the 1965 Shelby Mustang GT350R. 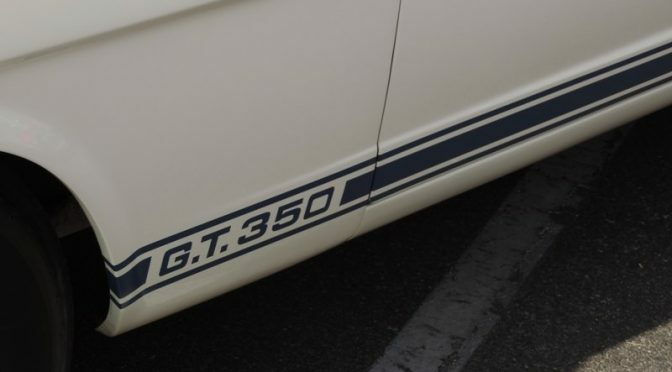 At next week’s Barrett-Jackson Car Auction, a 1966 Shelby GT350 is being offered for sale with a reserve. 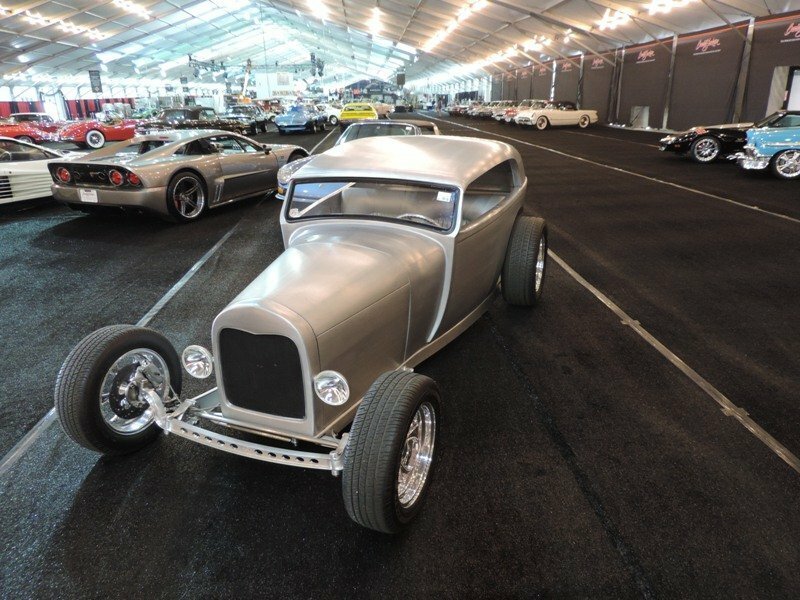 Few cars at the Barrett-Jackson auction come with reserves, but this one does. the car will cross the stage on Saturday, January 20, 2018 in Scottsdale, AZ. That is prime time for selling car during the week of auctions in Arizona. With a reserve car, the seller has a predetermined price that he wants to get and otherwise it won’t sell. Now that price is unknown to the potential buyers normally, so if the reserve is met, the bidders know for sure the car will sell and often more bidders will enter the auction. And if the price, doesn’t reach to the reserve? You can bet the house representatives will get with the seller trying to get him to lower the reserve and make a deal (and of course get the house the commission). 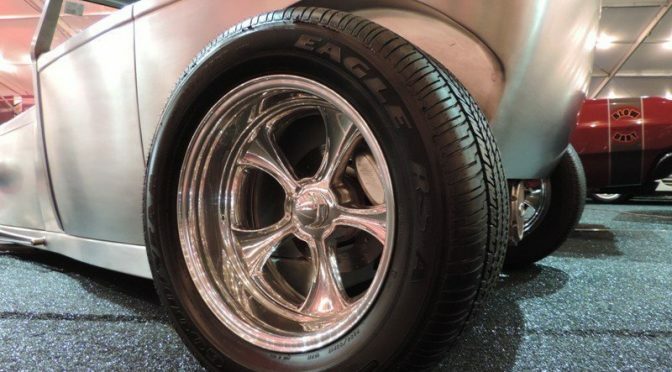 What makes this special is it was Carroll Shelby’s first 66 Mustang and was used as a prototype. Of course it came with a 289 and the Borg Warner T-10 four speed. But it also bears some unique features. 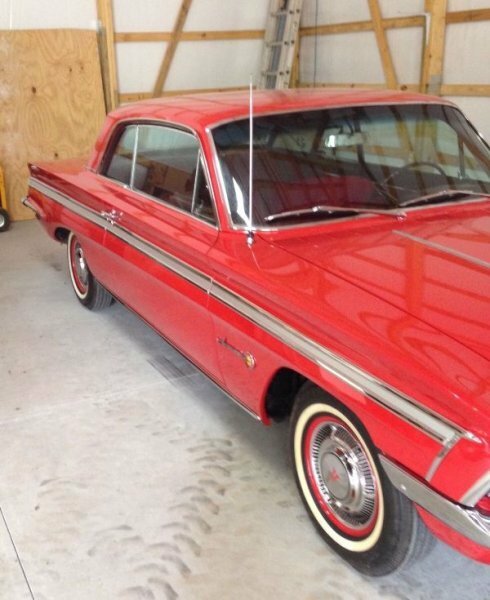 It comes with a vinyl roof that was considered and then discarded as a feature. Good call Carroll. It came from the factory with a ton of options including the “Pony” upholstery. 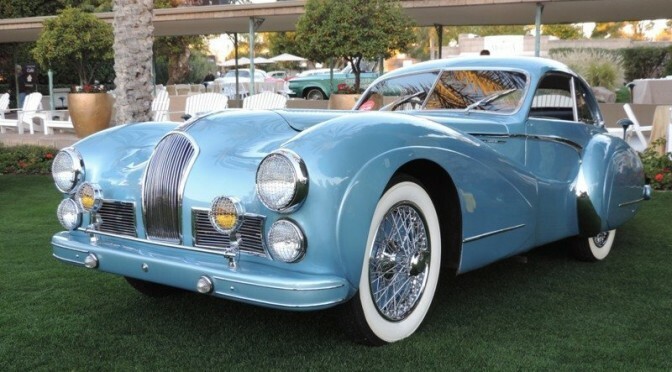 Restored in 2011 and has been shown at Pebble Beach. The pedigree of this Mustang is above reproach and it will be interesting to see how the bidding goes on this Wimbledon White “K” code two door pony. After all you can only have one #1 serial number and prototype in the year. So what would you bid for the car? A million plus? Will it reach reserve? I’d be willing to bet it will. 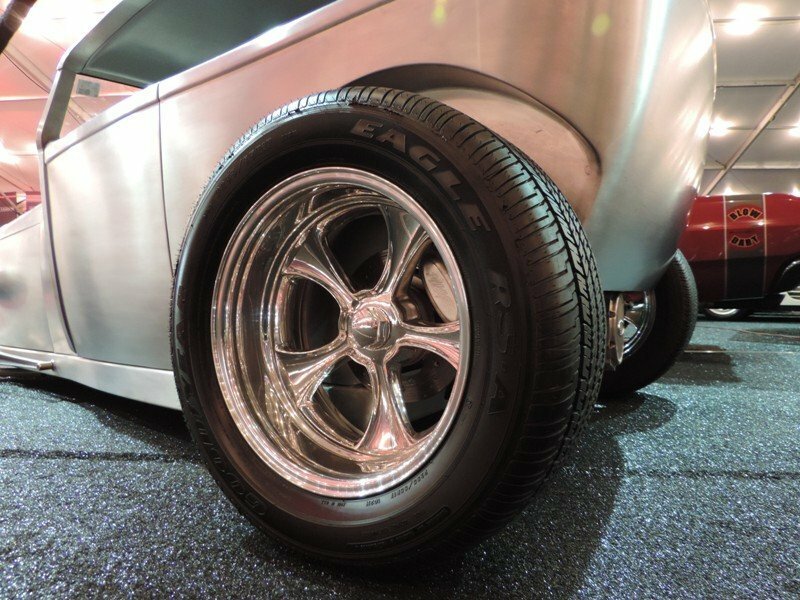 At the Barrett-Jackson Car Auction, FAST usually 2018 at all of Craig Jackson’s car auctions, FAST will have a totally different and potentially lifesaving meaning. 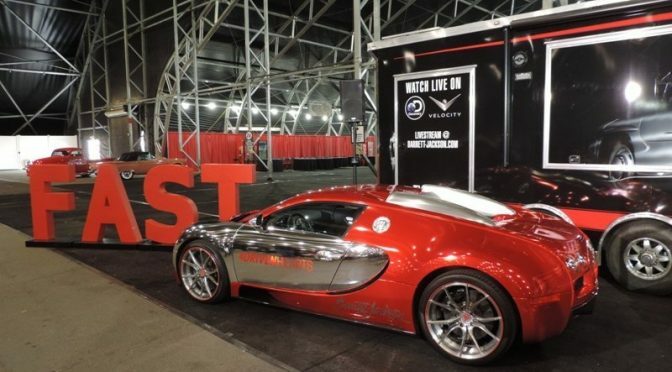 For the first time Barrett-Jackson will focus for the whole year on heart disease as a public service message with the American Heart Association. The auctions have always been known for their charity car sales which now approaches almost $100 million in donations. But for 2018 Craig Jackson explained that they will be sending out a heart safe message to their participants. FAST also stands for the warning signs of a heart attack. As part of the year-long notification, Jackson had his personal Bugatti Veyron wrapped in red and silver with the #DRIVEN HEARTS hast tag splashed across the sides. 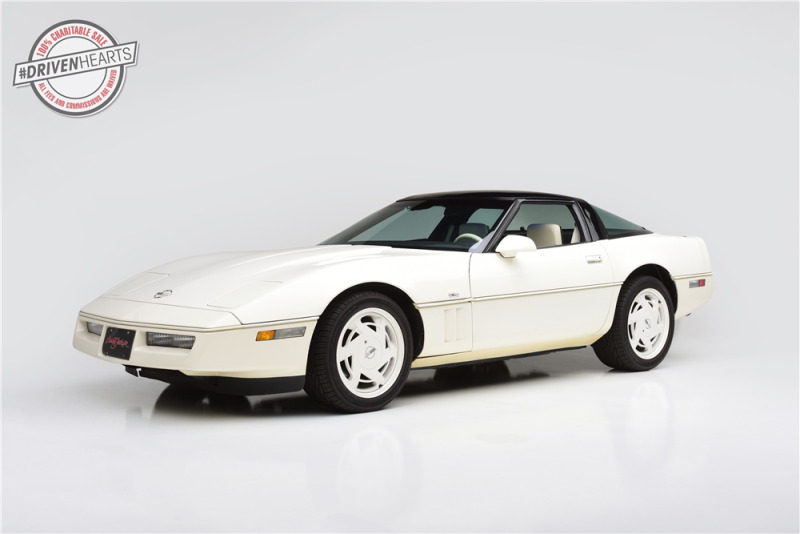 Plus at next week’s Scottsdale, AZ auction he will be donating the sale of his 1988 Chevrolet Corvette to help fight heart disease. Ironically this sports car had been given him by long time auction consignor and car dealer, Dave Ressler. Ressler recently died from heart disease so this re-gifting is so suiting. 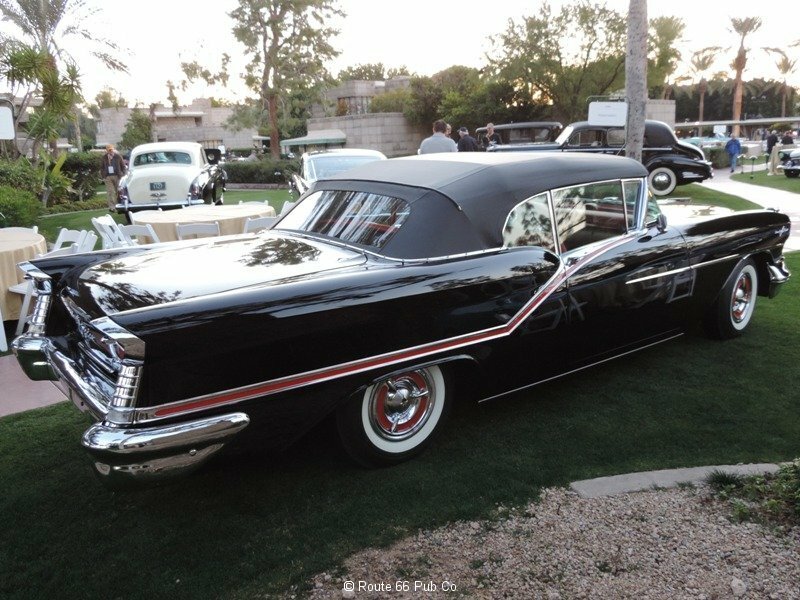 In addition Barrett-Jackson is sponsoring a special Arizona license plate theme, with $17 of the state yearly fee going to the American Heart Association. 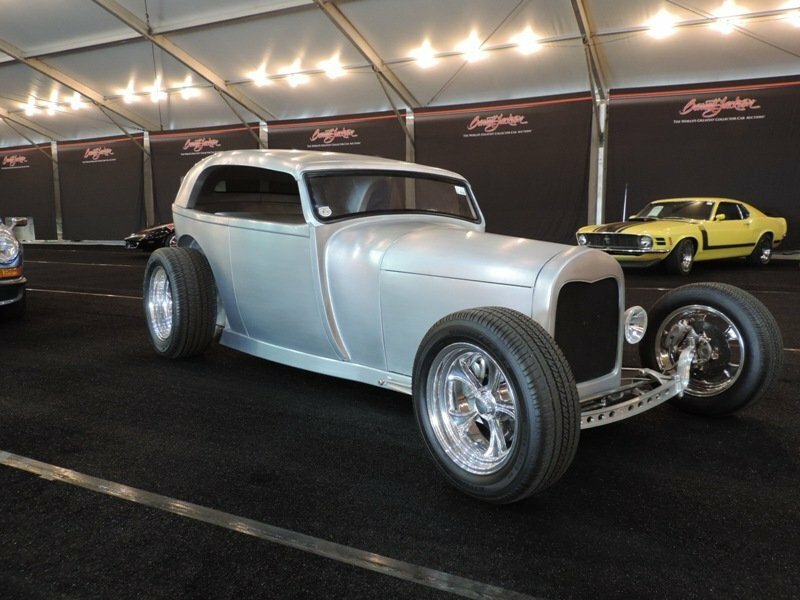 So there are several ways that Barrett-Jackson will help benefit the hearts of car fans! 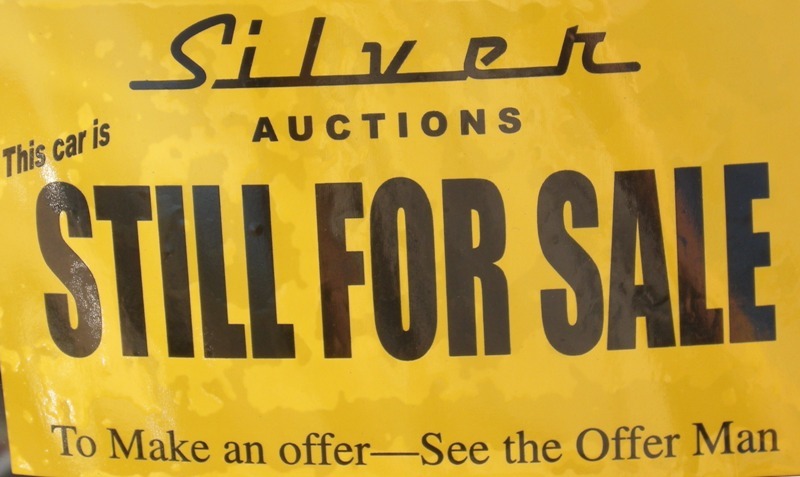 Silver Auction has been a presence in the Phoenix, AZ region for years. 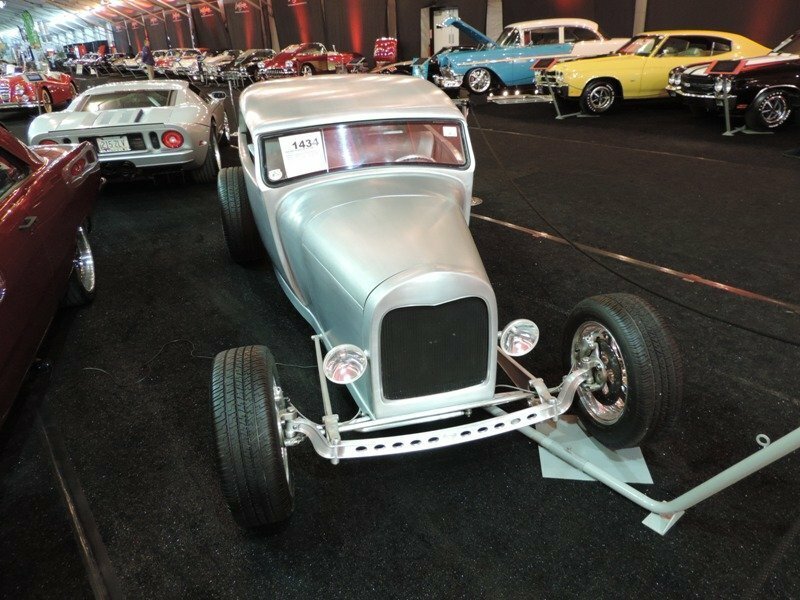 They typically hold three auctions a year at the Fort McDowell Casino and Hotel. They run a low key affair and have friendly staffing. The cars they consign are nice, vary from current models to classics and generally are more affordable than other high end sites. So the cars might have some blemishes or flaws but are still solid pieces of steel. We have monitored the auctions for years and spotlighted some of their offerings. 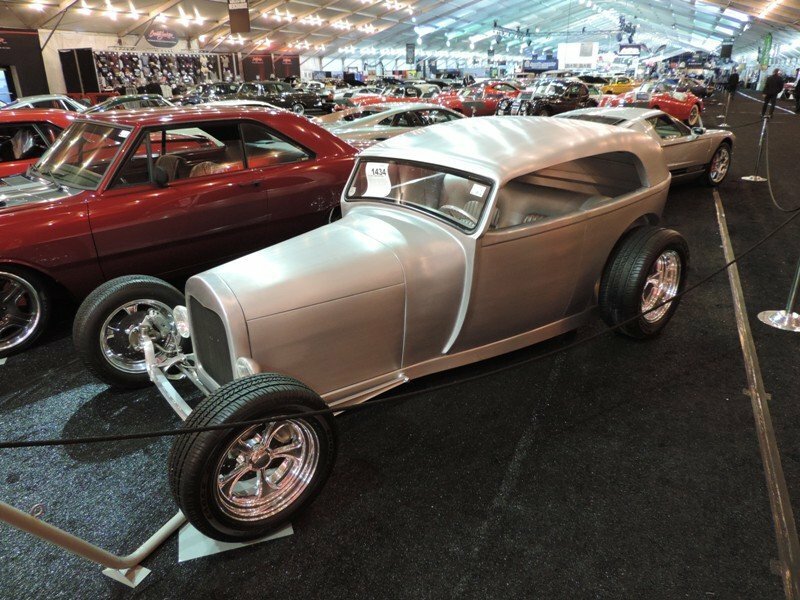 If a car is offered at auction on reserve and doesn’t sell, the auctioneers typically hint at what the bid price might need to be to buy the car. Frequently the deals are made after the car rolls off the auction block. If the bidding for a car meets the reserve the auctioneers are quick to announce the fact, a multicolor “disco” light turns on and the crowd gets energized knowing the car will sell. Now Mitch Silver has sold off the Arizona portion of his auctions to Emmett Rice. Rice is a car dealer from Amarillo, Texas, owning Vintage Autohaus & Imports. Rice has staged his own auctions there and is ready to take on the Arizona scene. Joining him will be Andy Stone, who formerly worked at Leake Auctions, and Jason Rose from the Barrett-Jackson powerhouse. Their first auction will fire up after Thanksgiving on November 24-26, 2017. Here’s hoping they continue the success that Mitch Silver struck in Arizona. While car manufacturers have been releasing new models with turbochargers as power adders, they have actually been around for quite awhile. Recently turbos were added to the Ford Focus and Fiesta engines, and even the trucking F-150. 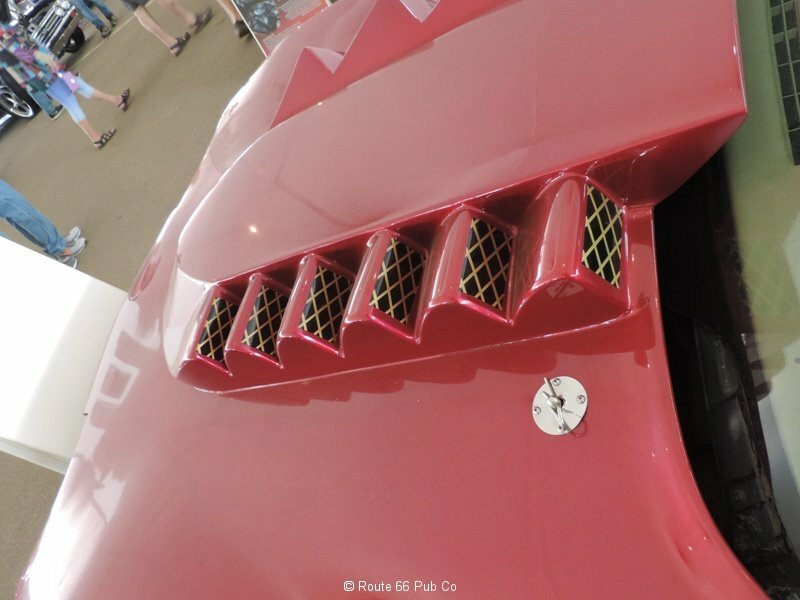 Turbos gain their power by using the exhaust gases to spin a turbine to help compress the incoming air to the engine. The denser the air, the more power the engine can make. With the right engine, today’s shade tree mechanic could add their own turbocharger to easily increase the power. Completely spec’d kits are available, or you could piece out the individual parts. 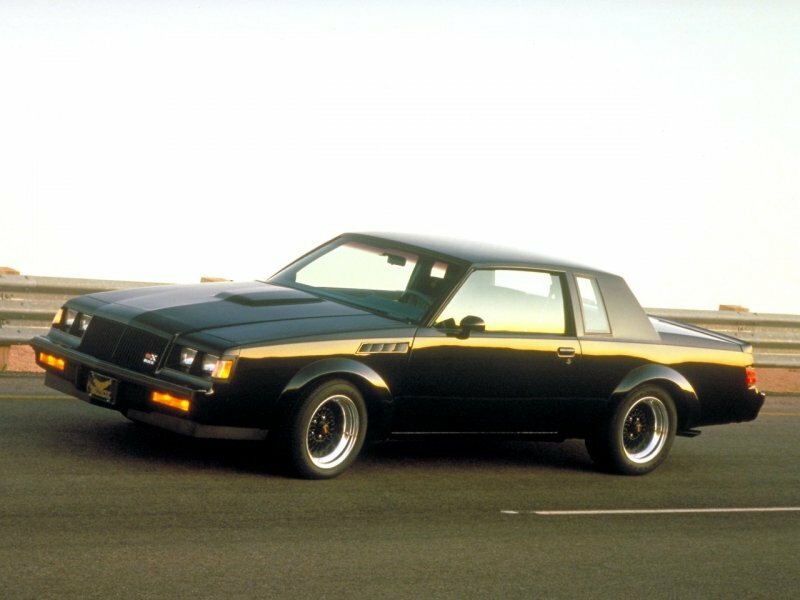 Buicks made a case for the turbos with their 1984 Regal Grand National and gained quite a following, until they stopped production in 1987. 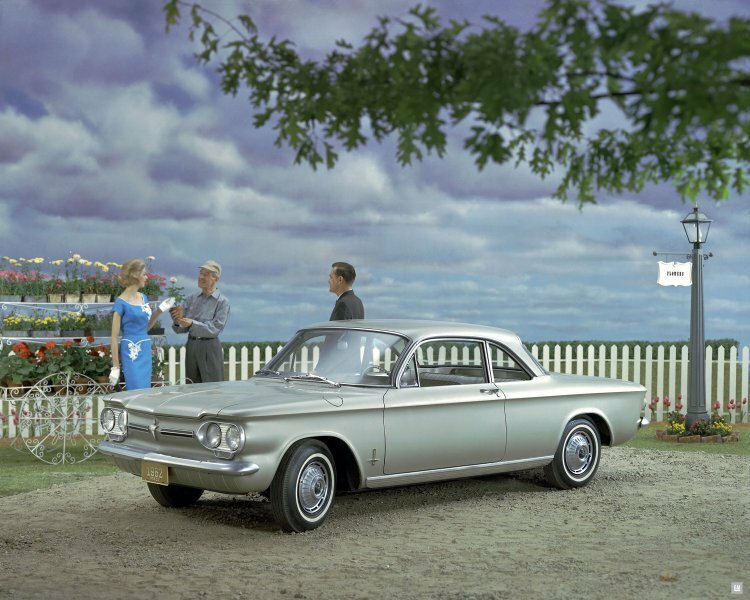 Another early innovator was the Corvair, that offered a turbo in 1962 to help polish their “sporty” image. The turbo charged Spyder engine made 150 horses as an option for the Corvair Monza coupes and convertibles. 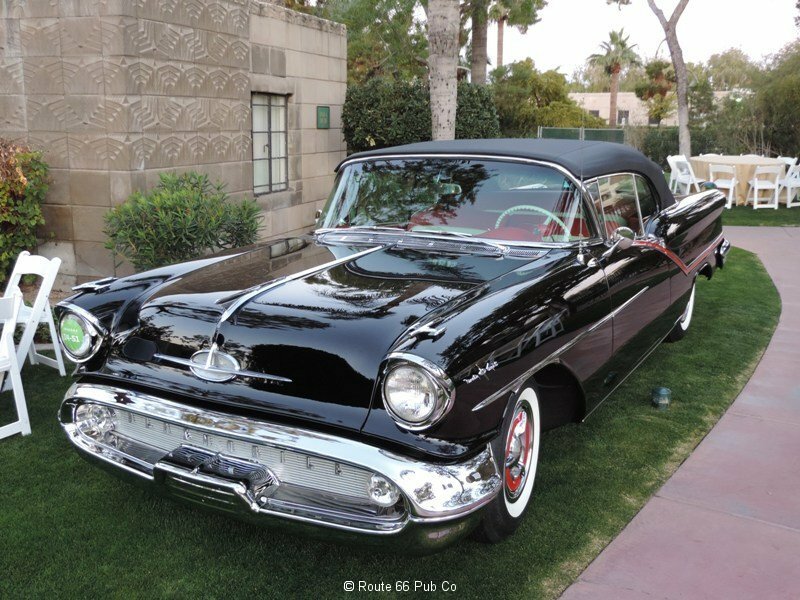 But Oldsmobile rushed out their Jetfire to be the first turbocharged engine offering to the American motoring public in 1962. 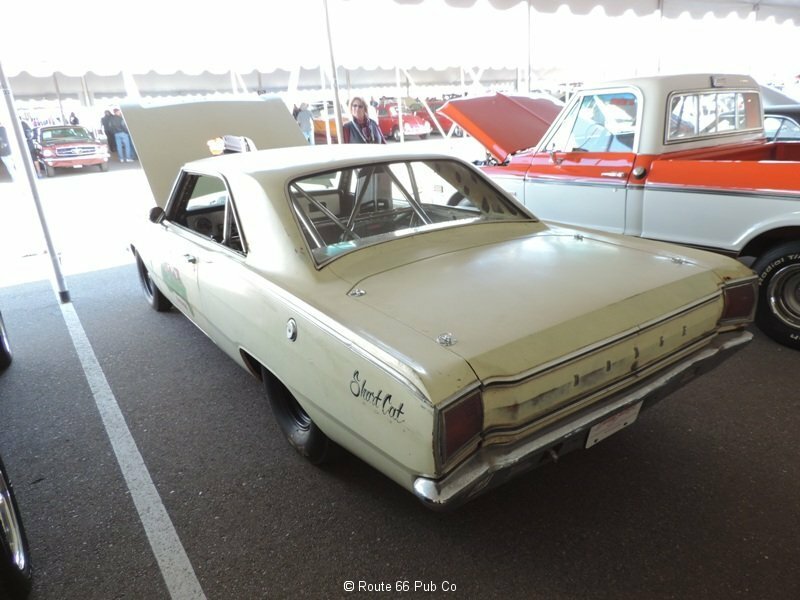 The Jetfire was a spin off on the F-85 Oldsmobile hardtop. It came with a 215 CI V-8 engine with a Garrett turbocharger making 215 horses (one horsepower per cubic inch of displacement). To avoid deadly detonation, the owners had to blend in a water and methanol mixture of “Rocket Fluid”. The other performance engine from Olds, without the turbo, was the same 215 CI engine but with just a four barrel carburetor. it could only offer up 185 horsepower. 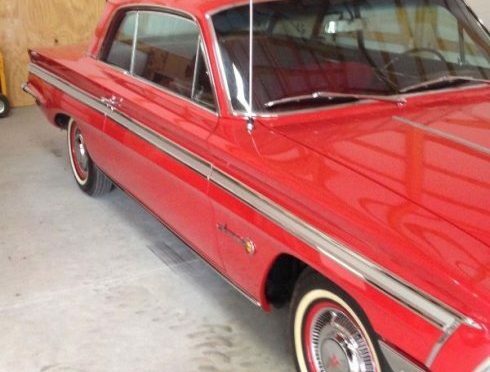 A 1962 Oldsmobile Jetfire was recently offered on eBay and the red exterior mimicked the sales brochures from the day. The owner indicated it is a ground up restoration but with a few items still needing a look at. 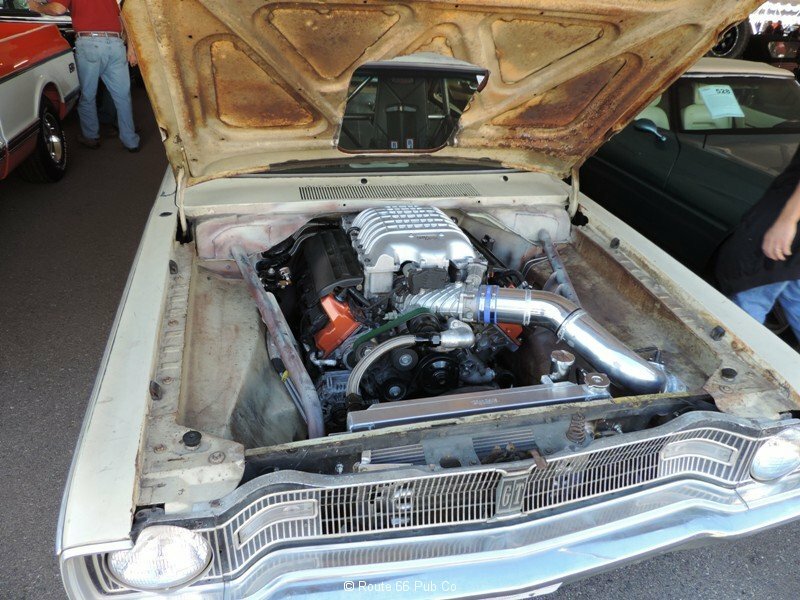 The owner installed a new turbocharger and added in air conditioning for comfort. So when your neighbor pops the hood on his Ford Fiesta ST and brags about his beastly turbo on his three cylinder engine, you can tell him that turbos are old school too. 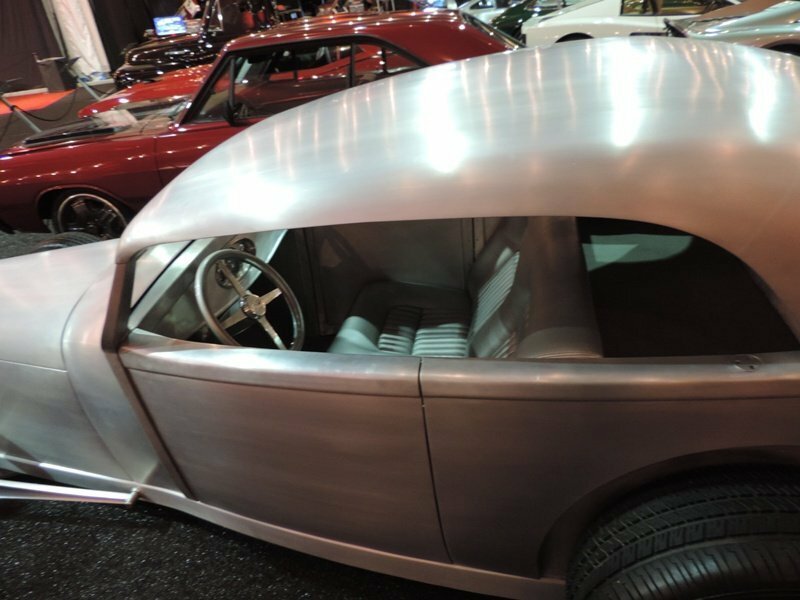 Alumatub, Boyd Coddington’s third all aluminum build sells at the Barrett-Jackson auction this week. 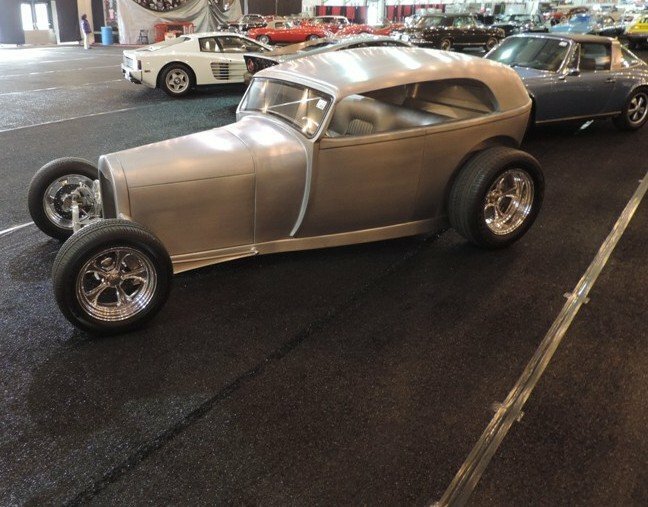 This was the third in a series of aluminum bodied customs that Coddington produced. The top can come off to allow for a roadster feel. 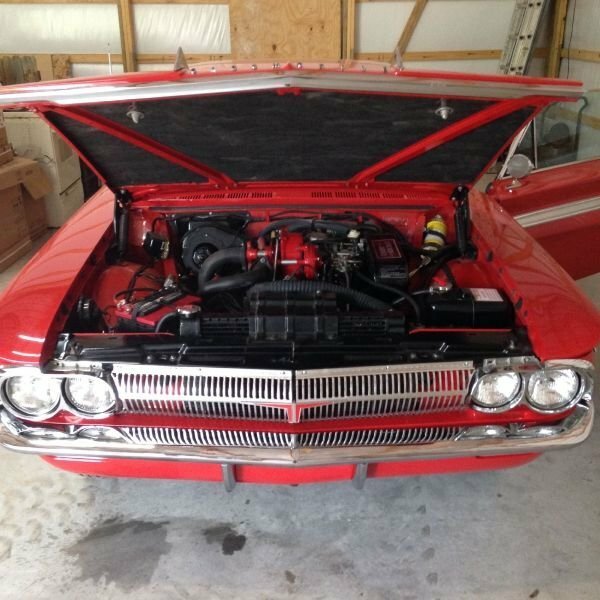 This one is powered by a Chevy small block 350 and sends power to the back through a Chevrolet TH350 transmission with a quick change rear end. 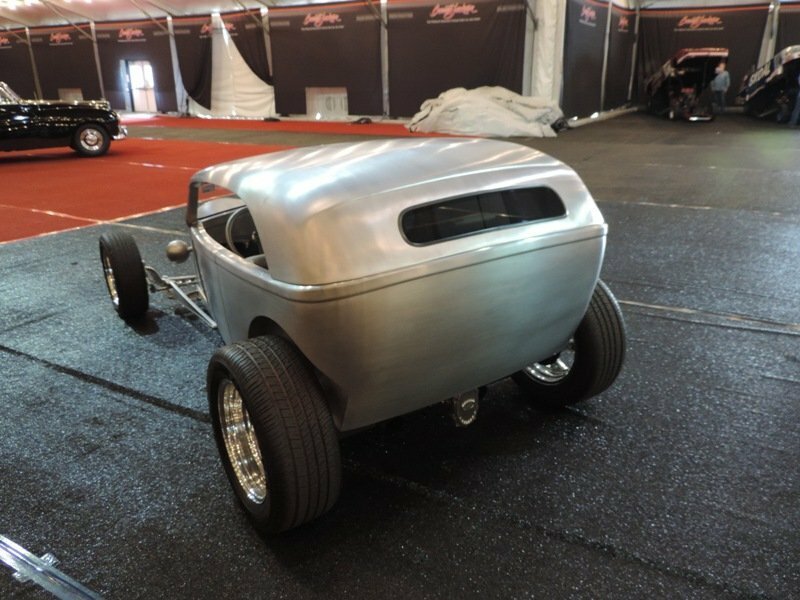 The body work was done by famed master Marcel‘s Custom Metal and is hard to believe this was hand formed and not stamped out on a press. Our friends at Hot Rod sure loved it. 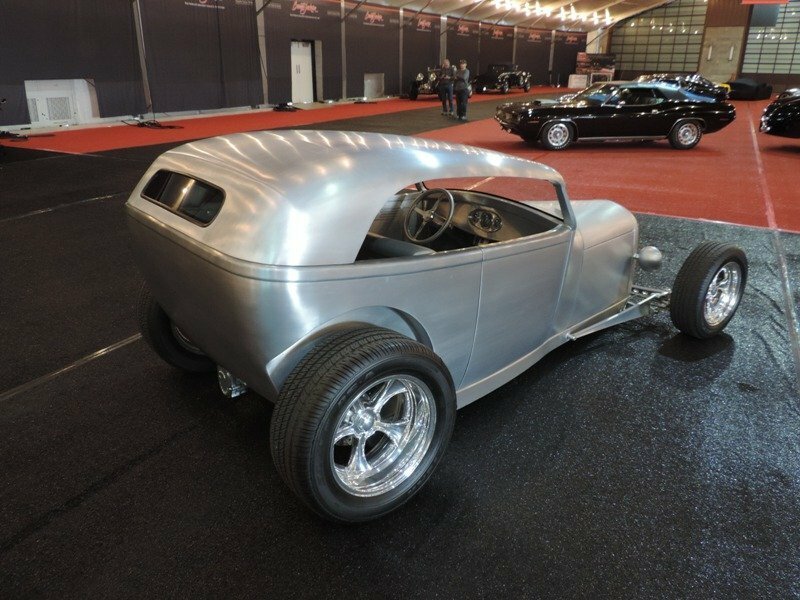 This hand crafted Boyd Coddington build was showcased on his TV show, “American Hot Rod” TV series which can still be seen on the Discovery Channel. After Coddington’s untimely death, it was thought that his builds would increase in value as his output was now finalized. 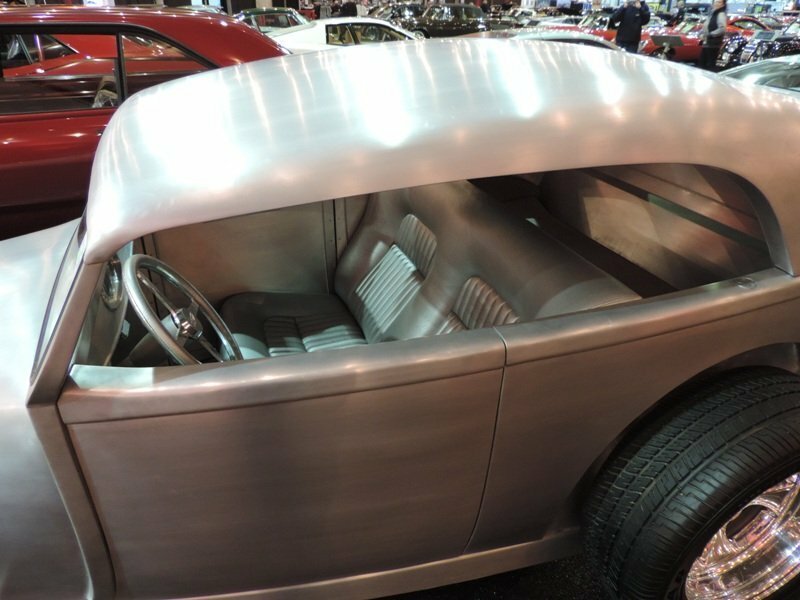 Alumatub first sold at Barrett-Jackson in 2005 to Ron Pratte with a listed price, including commissions, of $170,500. He sold it ten years later for $187,000 in 2015. The current owner is selling this year and it’ll be interesting to see what it sells for. 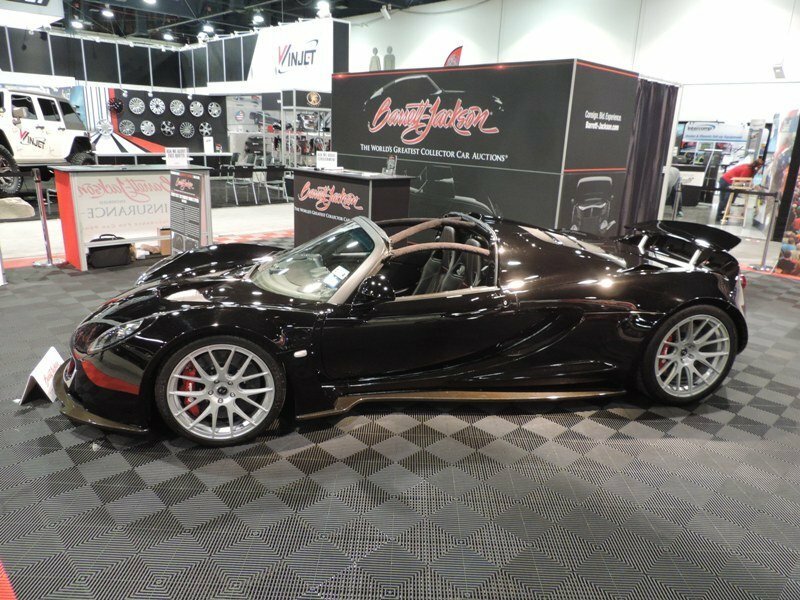 Steven Tyler’s 2012 Hennessey Venom GT convertible is selling next week at the Barrett-Jackson Auction in Scottsdale, AZ. Tyler, from American Idol and Aerosmith fame, bought the first convertible that Hennessey built and is donating the proceeds to a child abuse group- Janie’s Fund which he created. The Hennessey VENOM GT convertible holds the top speed record for convertibles at 270.49 mph, set in 2014 at the Houston Space Center. 0-60 times is a scorching 2.7 seconds while the 0-200 mph time is a “sedate” 14.5 seconds. How did Hennessey created such a speed demon? Take a 7 liter V-8 (Gm’s 427 ci LSX engine) and add twin turbos to created 1244 horsepower. Craft the mid-engine convertible out of carbon fiber, sitting on a composite/aluminum monocoque frame so it weighs in at 2,743 pounds. It is actually based on the Lotus Exige. The car has a Ricardo 6 speed manual transmission, Brembo six piston brakes, electric assisted rack and pinion steering and adjustable coil overs. The car even has a JL Audio system. It’ll be interesting to see what this supercar sells for at Friday’s auction spot. 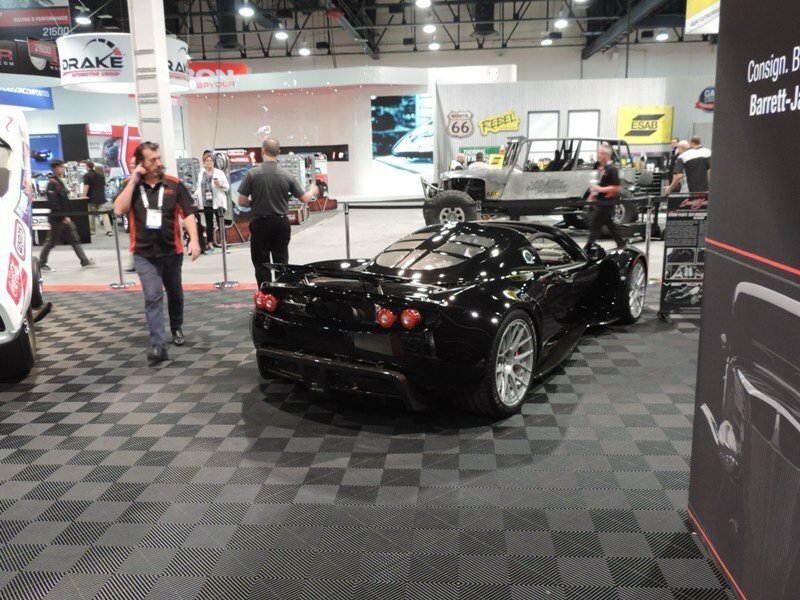 What’s your guess for the hammer price on this Hennessey Venom GT? It was announced by Sports Car Market that Gordon Apker died yesterday, February 3, 2016 in Scottsdale, AZ. 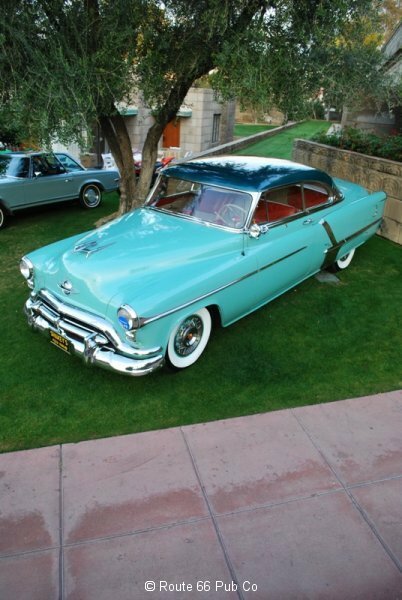 Apker was a classic car collector and had developed quite a collection. Ironically this past month, the Barrett-Jackson Auction had helped sell some of his automobilia. 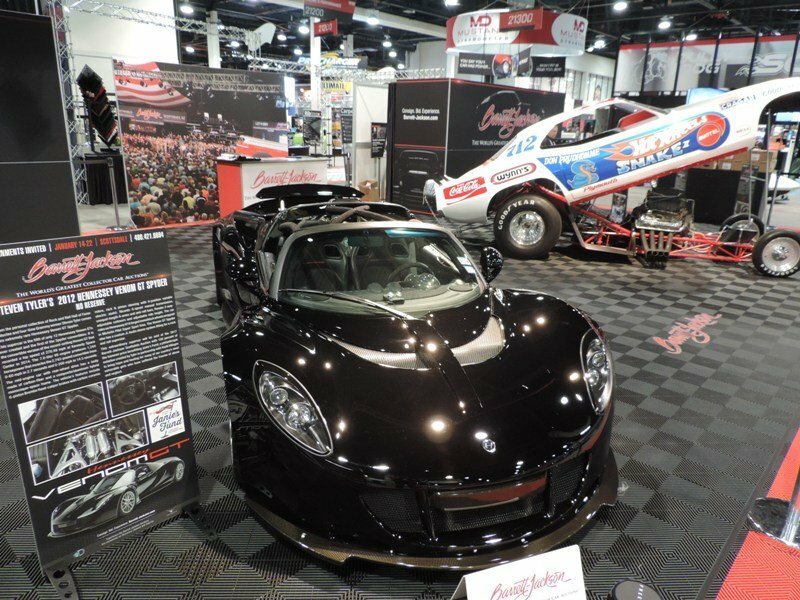 Gordon Apker, in Barrett-Jackson’s press release was quoted that he wasn’t getting out of the collections and only selling a portion of his collection. You might not have known Gordon Apker by name but he was the former owner of the Shakey’s Pizza chain. 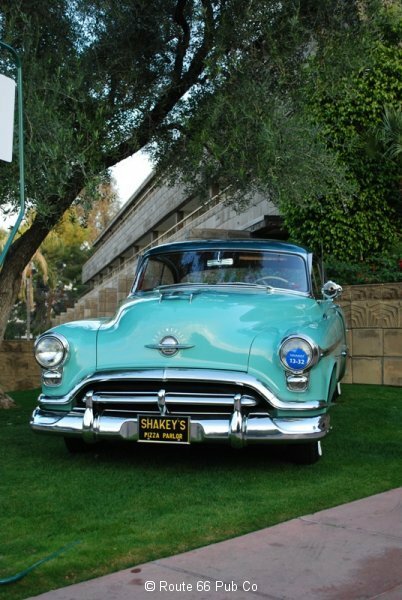 In fact he was so proud of his business that some of his classic cars bore the secondary license plate with Shakey’s logo. It would seem fitting to recognize Gordon by highlighting the cars he brought out there for the last two years. 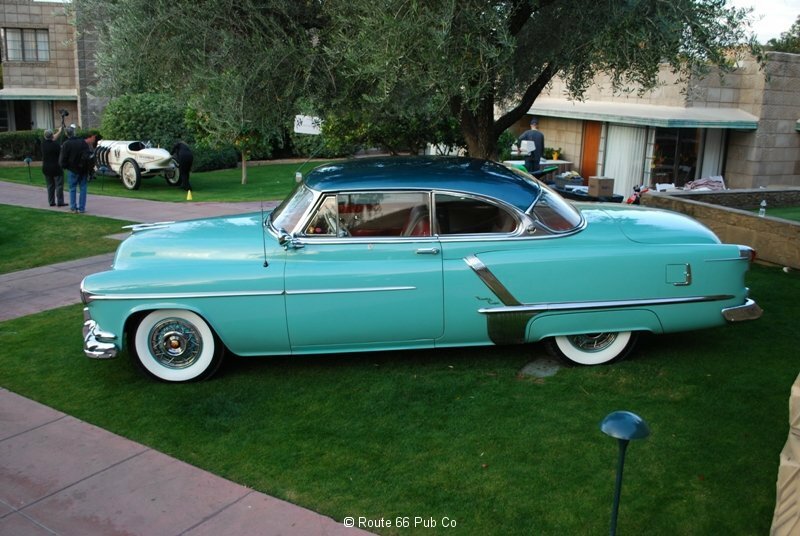 Just last month, he brought out his 1957 Oldsmobile, Ninety Eight convertible. 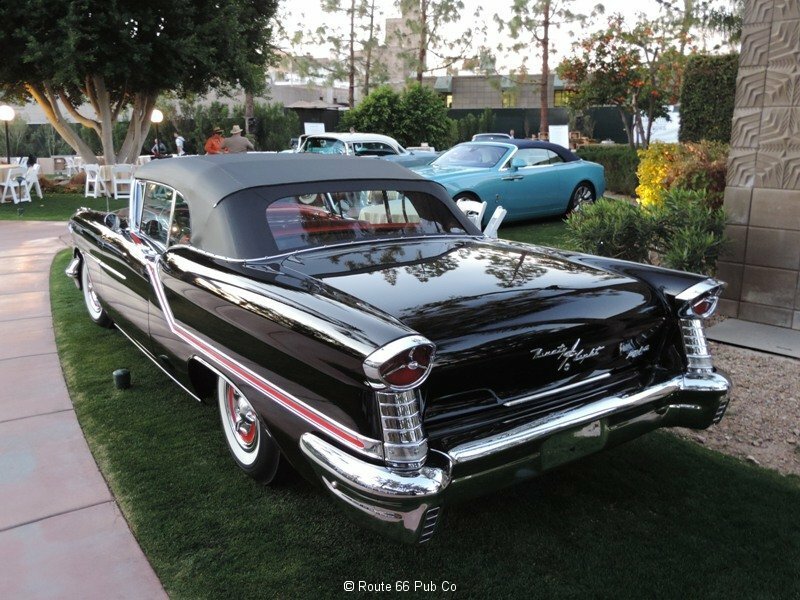 This black beauty had the famed Rocket V-8 engine, a 371 cubic inch with three carburetors. I loved the red accent line on this convertible. 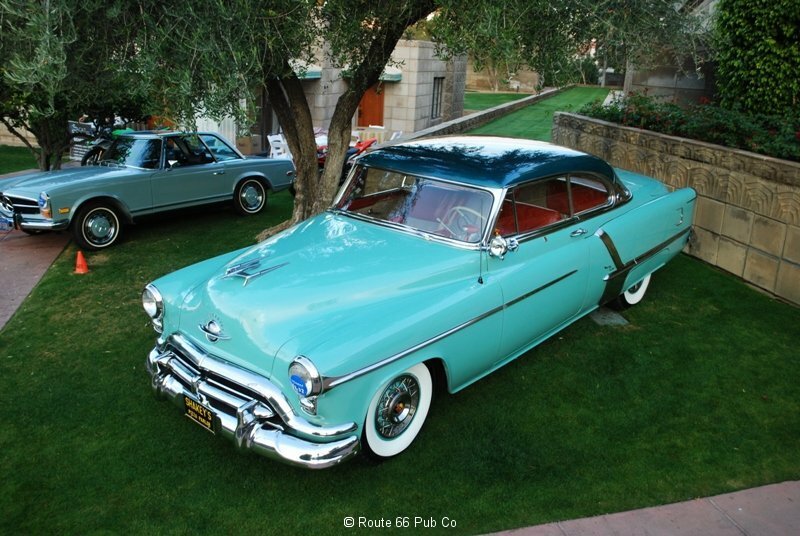 Last year Gordon Apker showed this green 1952 Oldsmobile Ninety Eight two door hardtop. Not surprisingly both cars took home awards each year from the show. 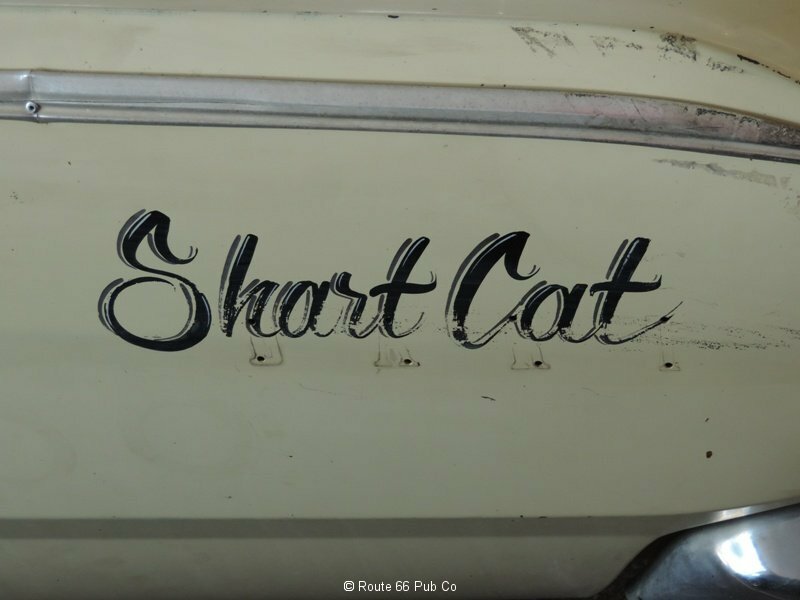 Shart Cat is the name of Gas Monkey Garage’s 1967 Dodge Dart that was sent out to compete on a modified parking lot in Detroit, Michigan for an eighth mile drag race against Roadkill’s General Mayhem, a Dodge Charger. If you follow the Fast N’ Loud “Reality TV” show on Discovery, you know after some minor technical difficulties, the Dart driven by Aaron Kaufman beat Roadkill by over half a second. That’s time to make a cup of coffee in drag racing time speak. 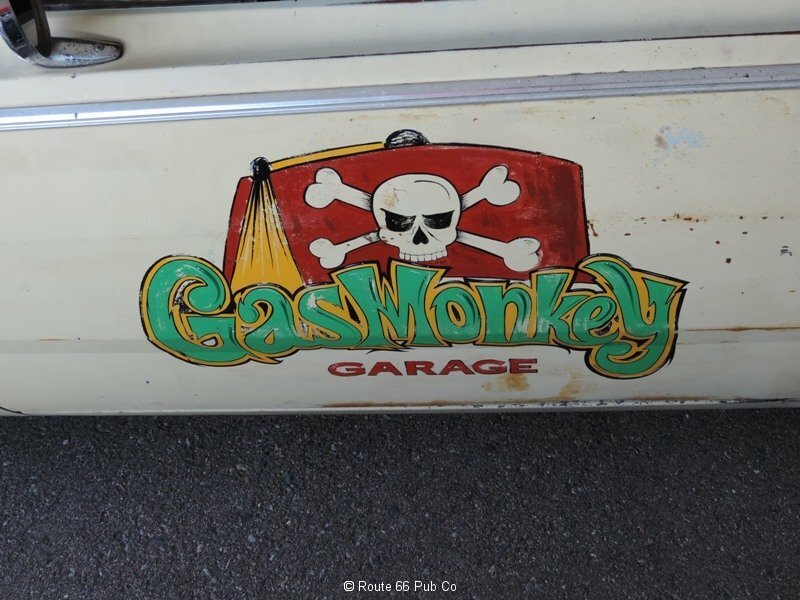 In true reality television tension, after rushing to meet the impossible deadline, the Gas Monkey Garage crew made it up for the grudge match against the maker’s of General Mayhem. Naturally there were some technical, last minute problems to create even more drama. But when the lights came on, Kaufman’s foot went down and so did Roadkill’s hope. 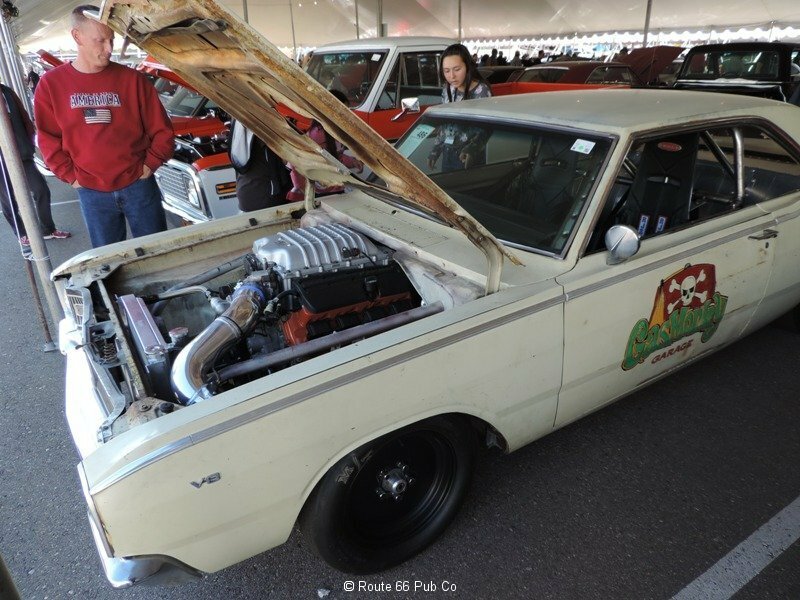 Roadkill used a 1968 Dodge Charger, also with a Hellcat engine, but without the drag racing standard two-speed Powerglide or trans brake. That lack of engineering and the lighter weight of a Dart probably doomed the Roadkill crew from the starting lights. 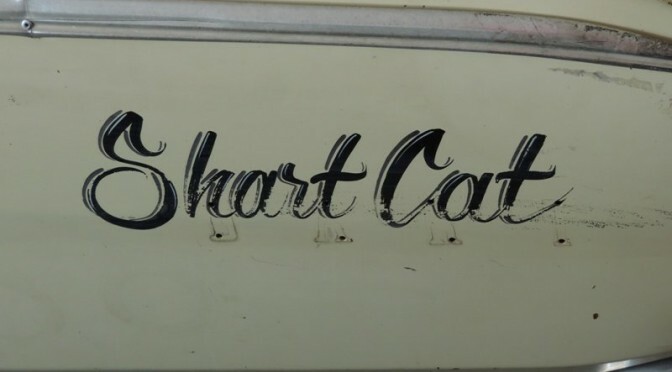 Richard Rawlings didn’t waste any time deciding to sell the Shart Cat at the Barrett-Jackson Auction in January, 2016. 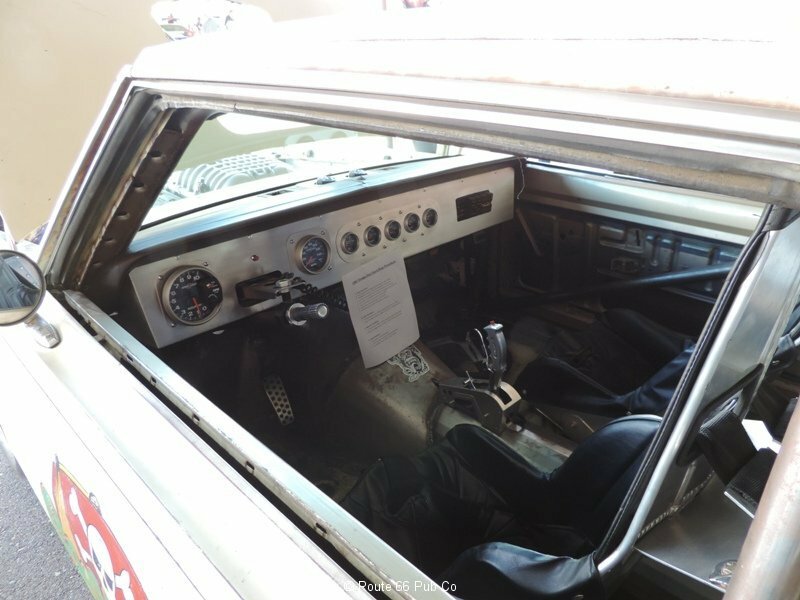 The TV episodes made it very clear that NOBODY has slapped a new Hellcat engine into anything without transplanting the entire electronic controllers and brains with it. 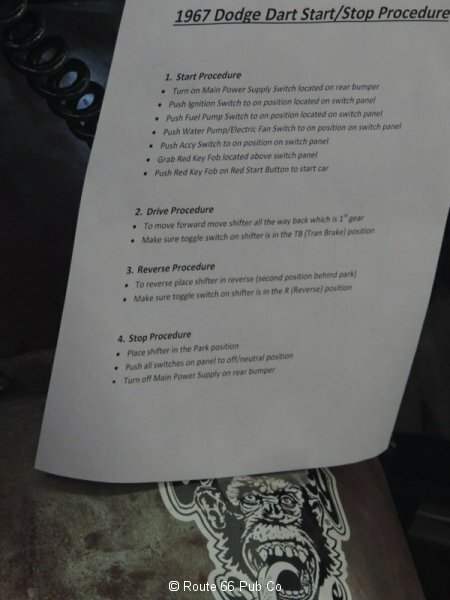 Check out the typed instructions the auction drivers needed to follow to make the Shart Cat play nice. 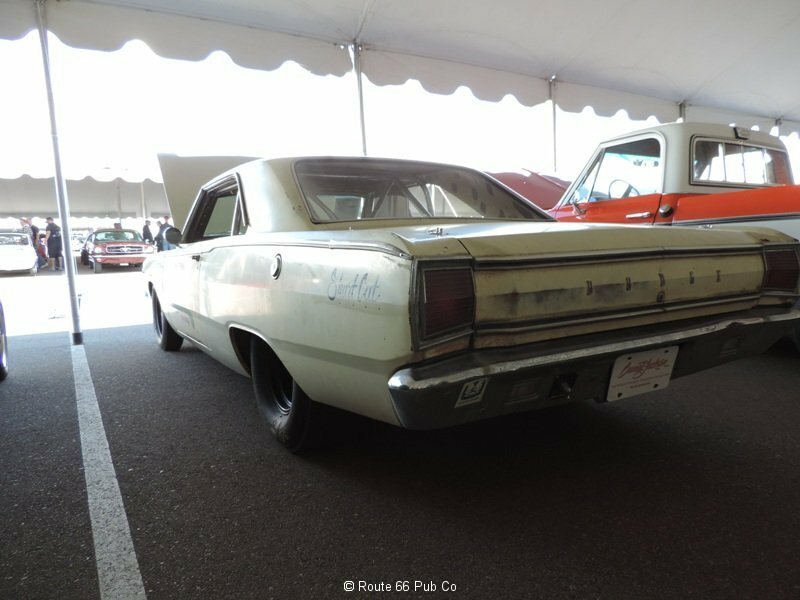 To be kind the body was rough, but I suspect that the bidders didn’t care about the exterior as much as being able to tout the car as coming from the Gas Monkey Garage stable. Heck Richard didn’t even pop for any expensive vinyl decals or wraps! 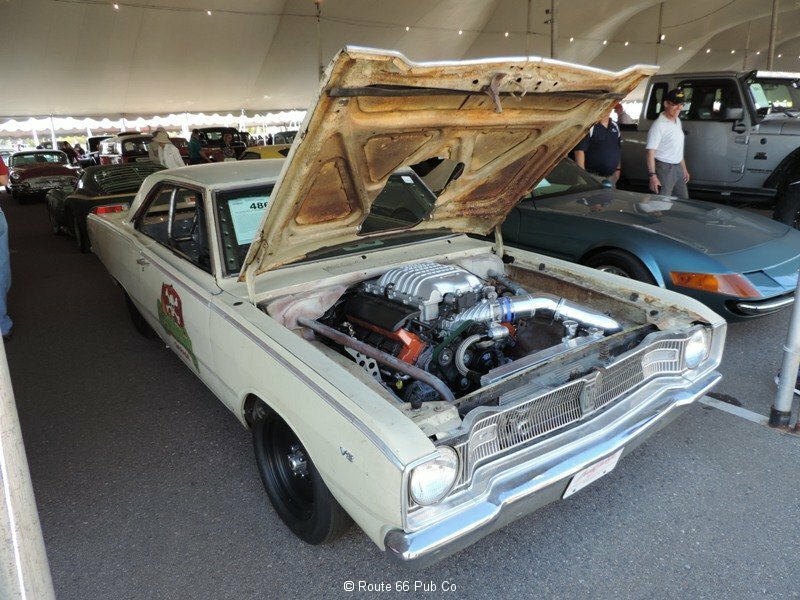 The buyer shelled out a final price with commissions of $74,800 to be able to place this Dodge in their garage. Would you have spent that much? 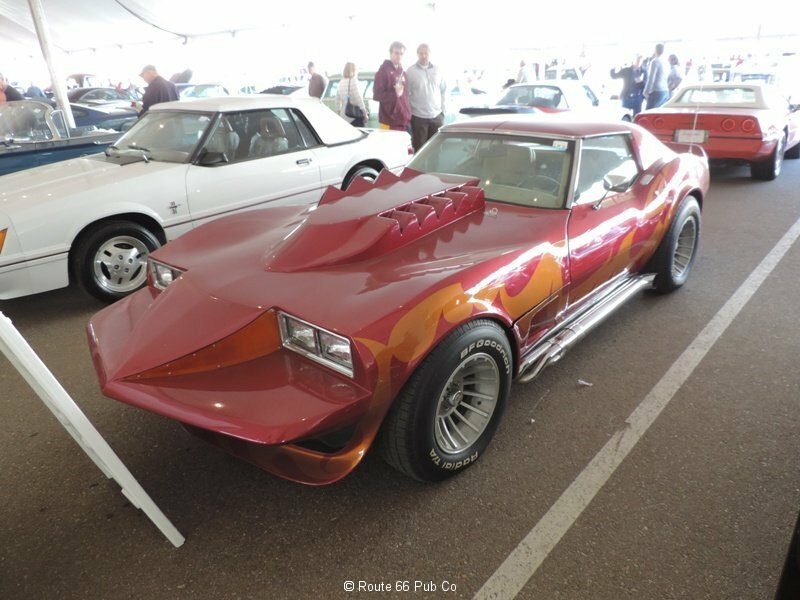 Fans of Richard Rawlings and Aaron Kaufman from Fast N’ Loud will recall that a recent episode featured a Corvette that was in the style of the 1972 Corvette featured in the Mark Hamill (before Star Wars fame) movie “Corvette Summer”. So if you didn’t listen closely to the episode or read careful the placards you may think differently. Never the less it is an interesting look. The “growth” coming out of the hood is not even a grill or opening but has vinyl simulating an opening. 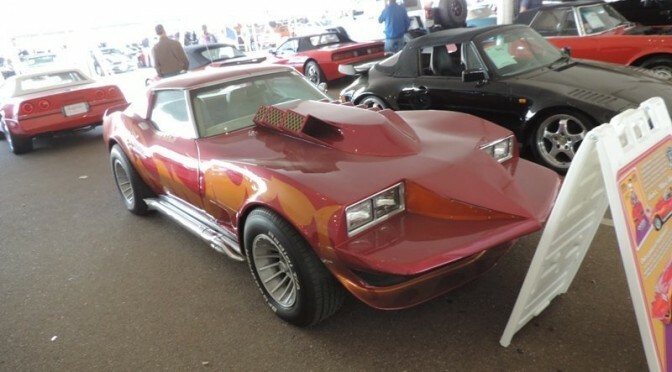 Somebody did take some time to craft a look a-like; but since it isn’t even a right hand drive I wouldn’t even try to call it a clone or re-creation. If you follow the show on the Discovery Channel you know what they paid. It goes on the auction block on Friday, so we can see how well Richard does on the car right away. What do you think Flip or Flop? 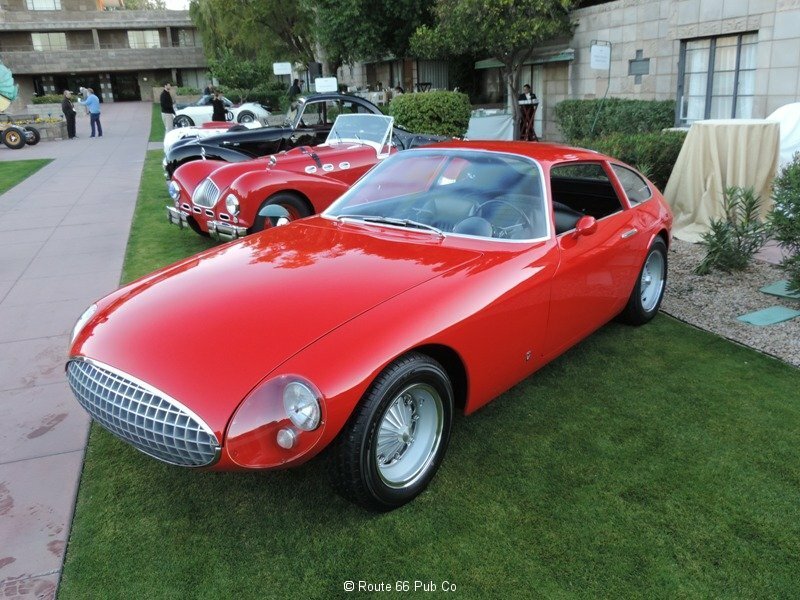 The Arizona Concours d’Elegance helps kick off the massive week of classic car auctions here in Arizona. 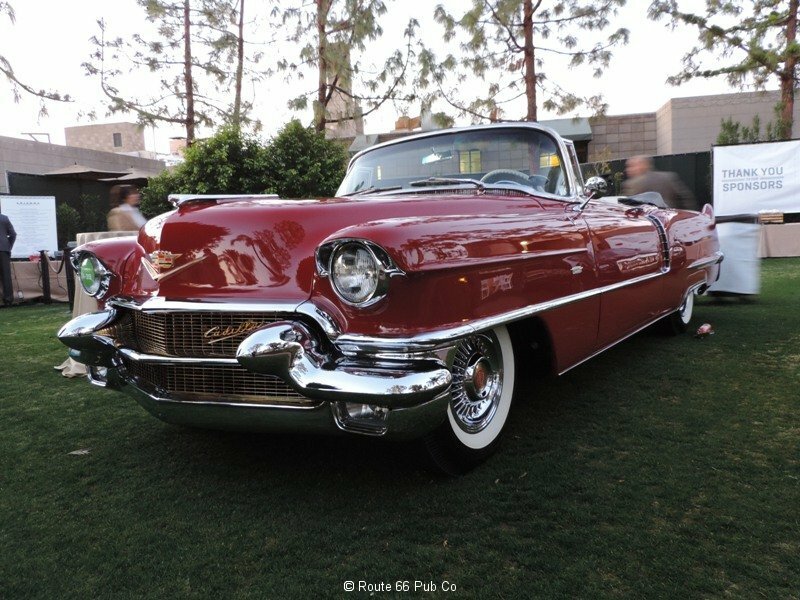 Now in their third year, they always manage to round up an impressive number of cars and unique marques to make this show, held at the Arizona Biltmore in Phoenix , Arizona a must see event. They picked an impressive set of classic to win the awards but four really jumped out at us. In this first coverage of the Concours, we wanted to focus on four that really caught our eye and we hope yours too. The show is broken down into specific classes and here were three winners of Best in Class. As we say if you want to see a unique car, Arizona is the place to see it. 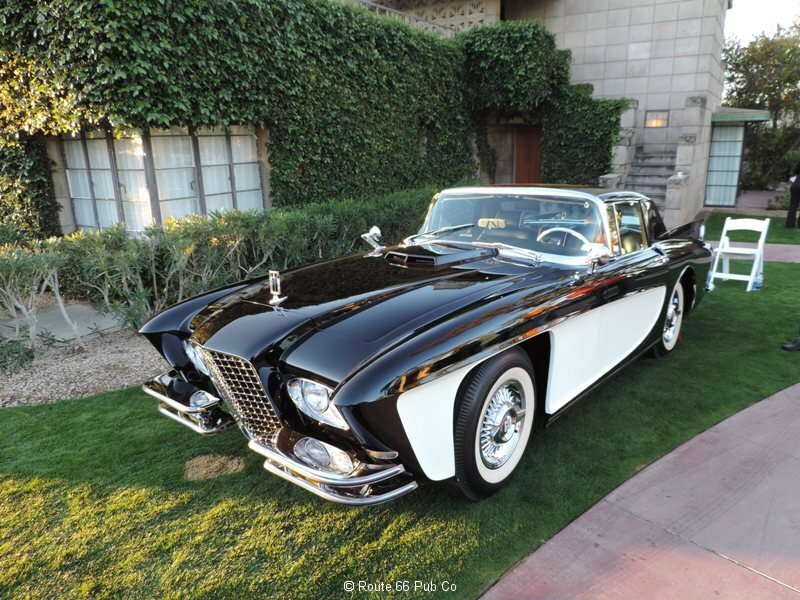 This Gaylord is visually striking with the black and white color scheme. Seems that the Gaylord was hand made in Germany as concept vehicles. This is powered though by a Cadillac engine. The side paint scheme emulates the Corvette cove maybe? This massive red brick is powered by a 365 ci engine and four speed Hydramatic transmission. A convertible with this much chrome and red paint just has to grab you and get your heart pumping. 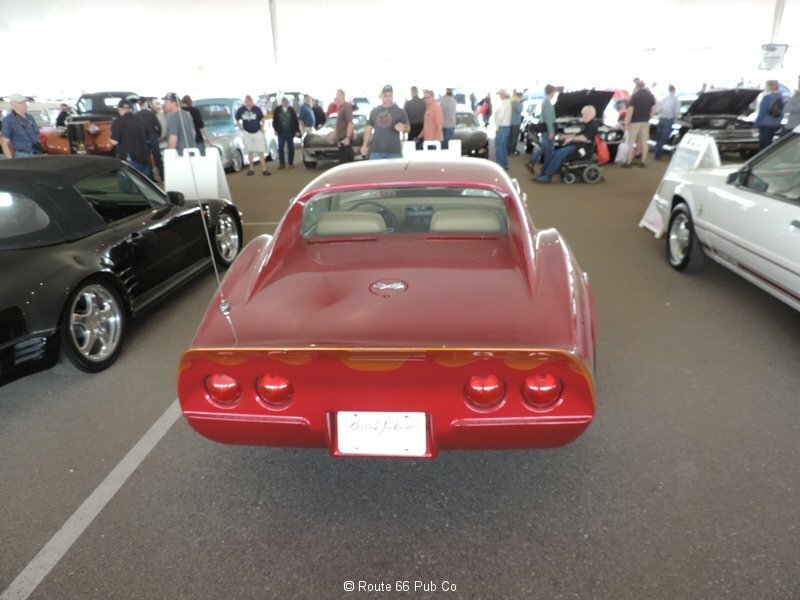 Well when you see this red classic, you might think that the frazzled post-production crew messed up the photos, but no this is a Corvette. This car was commission to portray an European look on an American chassis. It used a fuel injected 283 ci engine and a 4 speed manual to get it. The show also dispenses “Special Awards” and we’re glad they gave out an honorary judge’s award ( one of three issued in that group) to this blue baby. We liked this car for two reasons. 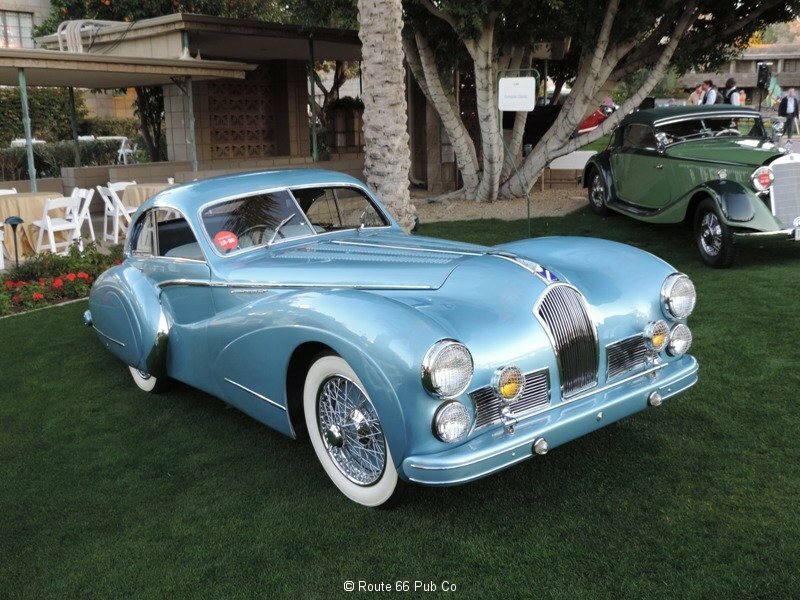 the Talbot was beautifully restored and the blue color just blazed in the Arizona sunshine. And it may be the longest car at the Concours for a two-seater. That front bonnet (hood) just stretches and stretches.